“we are also concerned about the vandalism of several ATMs in capital complex recently by the miscreants and is a matter of great concern”. Said Arunachal Pradesh Chief Secretary Satya Gopal. Everybody should think and take utility of those ATM which are for the benefit of all concern but vandalising of ATM is condemnable and action will be initiated against all those who take law into their own hands, added Mr Gopal. He also said that “A discussion on security (law & Order) have been done but we are going to convene again wherein DGP will be asked and direction will be given. A concentrated affect is required, all CCTV and other sources will lead to resolving the case and investigation is being done. The vandalism in state’s Civil Secretariat was only due to lack of proper boundary wall and security fencing which is under construction, there are multiple entry point to the Secretariat due to which illegal visitors sometime trespass he said. He said that a scheme pertaining to modernisation and technology up-gradation for better policing “city surveillance” is underway and now at Ministry of Home Affairs, Government of India. We are taking up the issue on the direction of Chief Minister Pema Khandu. We are taking special measures to prevent such incident again and again Satya Gopal added. Meanwhile the SBI officials of Itanagar Region said that out of total 33 ATM in Itanagar of which 24 are managed by FIS company while 9 are managed by the SBI Itanagar Main branch while fund are being replenish by one Radiant Carriers firm. 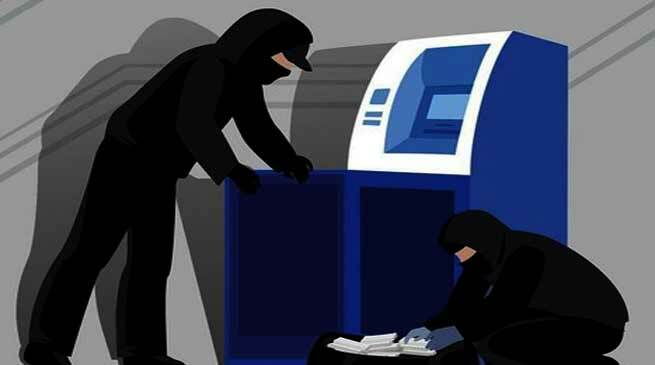 Two ATM have been vandalised one at Legi Complex and another at state Civil Secretariat complex. FIR have been accordingly made to the Itanagar Police. Other SBI managed ATM vandalised which include E Corner at Naharlagun and others. The ATM which vandalised in capital complex are Dera Natung College, Vivek Vihar, Chimpu, Chandan Nagar, Gohpur Tinali, In Front of Secretariat Main Gate, Naharlagun E Sector, E Corner, NERIST, Near Canara Bank at A Sector, Papu Hill, Papu Nallah, C Sector, Legi Complex, NEEPCO Itanagar , Itanagar Secretariat, etc. SBI, AGM Itanagar Tapan Kumar Ghosh said that ” we have no cash problem but due to vandalism of ATM, We are replenishing cash daily and sometime twice a day”.